DEBATE: Starting From Scratch or Building On Tradition… Where is Irish Food Culture Today? This Year’s debate will see JP McMahon and Mairtín Mac Con Iomaire taking the stage to voice their opinions on Irish Food Culture. The debate is hosted by Harry Colley and Aoife Allen from With Relish Podcast and will be recorded live as part of the Dublin Podcast Festival. The Irish food scene is booming today yet as a nation we are not considered to have a rich food history and culture. This debate will explore whether Irish food is at year zero or if a rich, complex but mostly unrecognised food culture has existed and developed over millennia. This is a free event, but if you feel like contributing towards the EAT:ITH Series a donation of €2-5 (or whatever you feel) would be much appreciated. Donations help ensure that this and other EAT : ITH events remain free. JP McMahon is a chef, restaurateur and author. 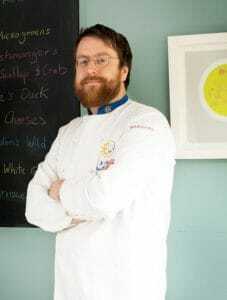 He is culinary director of the EatGalway Restaurant Group, which comprises of Michelin-starred Aniar Restaurant , award-winning Spanish restaurant Cava Bodega, and Eat Gastropub. JP is committed to the educational and ethical aspects of Irish food, to buying and supporting the best of local and free-range produce, and engaging directly with farmers and producers. JP is founder and host to the international food event Food On The Edge as well as being director and current chair of the Galway Food Festival. He is currently a commissioner for Euro-Toques Ireland and sits on its Food Council. Dr. Máirtín Mac Con Iomaire is a senior lecturer in Culinary Arts at the Dublin Institute of Technology (DIT). He is an award winning chef, food historian, broadcaster, ballad singer and a regular contributor and Trustee of the Oxford Symposium on Food and Cookery. Having worked at the highest level in professional kitchens in Ireland and abroad, Máirtín began his teaching career in 1997. In 2009 he was awarded a Ph.D. on the history of Dublin restaurants 1900-2000. 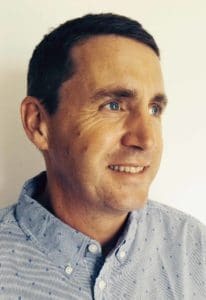 He has written numerous peer-reviewed articles and book chapters on Irish food history, and is the chair and co-founder of the Dublin Gastronomy Symposium. Máirtín is co-editor with Eamon Maher of ‘Tickling the Palate’: Gastronomy in Irish Literature and Culture (2014: Peter Lang), and is currently co-editing a special food issue of the Canadian Journal of Irish Studies (CJIS) with Rhona Richman Kenneally. He is currently supervising a number of doctoral and masters candidates focusing on Irish food and culinary topics. He is a driving force behind the first taught doctorate for Culinary Arts at DIT which launched in September 2015, and is chair of the new Masters in Gastronomy and Food Studies which commences in DIT in September 2017.